Design Patterns are a revolution in software technology. 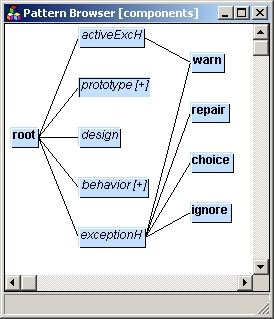 We have developed a tool for application and creation of Design-Patterns. automatic generation of source-code from design-pattern models. automatic generation of documentation from design-pattern models. The Pattern-Browser enables die navigation through the Pattern Environment. 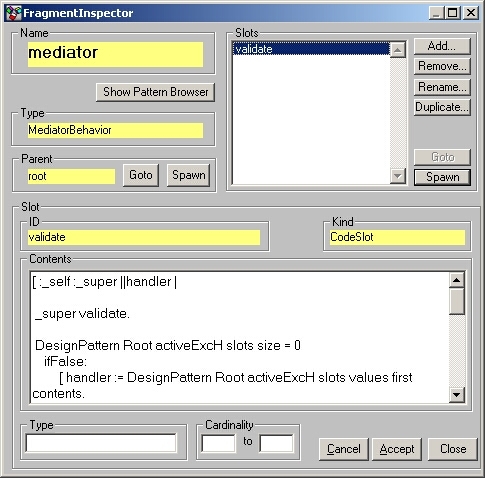 Per mouse-click the Fragment-Inspector can be opened, and other Pattern-Fragment specific operations can be executed.